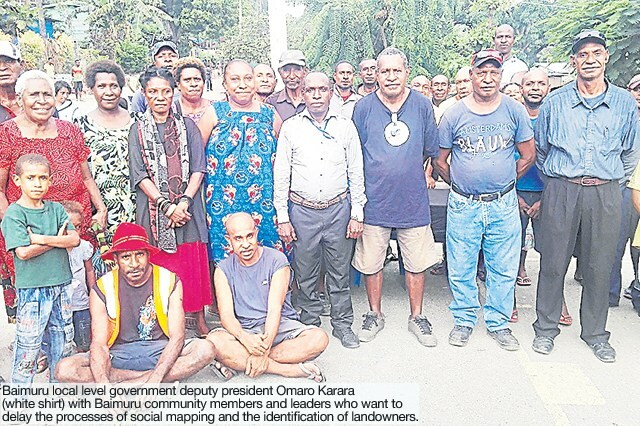 BAIMURU landowners in Gulf are calling on Papua LNG operator Total SE to defer the social-mapping exercises to allow the landowners to be better represented and informed. The call is for Total to reschedule the process for Petroleum Retention Licence (PRL) 15 to allow for an awareness programme and more consultations. Baimuru local level government deputy president Omaro Karara said the communities involved did not know enough of what was going on. He said the SMLI should be done properly so that the communities can be accurately identified. He was speaking in Port Moresby at the weekend on behalf of the social mapping and landowners identification working committee (SMLIWC) and the PRL 15 landowners. He said the committee objected to the dates set by the developer because they were told late. “We would like to defer the activity to March 2018 as government accounts will be opened and we will be in a better position to raise awareness and to mobilise our ward members to organise their people,” Karara said. Karara said that if the process was rushed through, there would be conflict. “We are appealing for more consultation for the safety of the SMLI team and the successful completion of the survey,” he said.